Do you want to put all your stress aside and just be free? A water park is a place where you can feel this. Screaming! Laughing! What we call it fun can be done in a water park. It's always an enjoyable experience to visit a water park. Burhani recreational park is an amazing stress-free zone. Your kids stressing but they won't tell you. 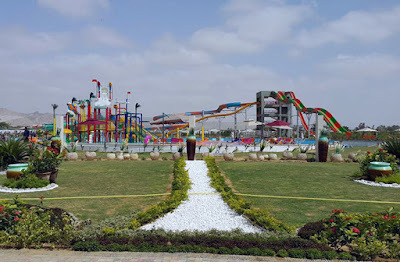 This water park guarantee fun for kids and adults too. Just come and dip into a water to relax.